‘House of Horror’ Halloween deck published by Strongbow cider, 2015. 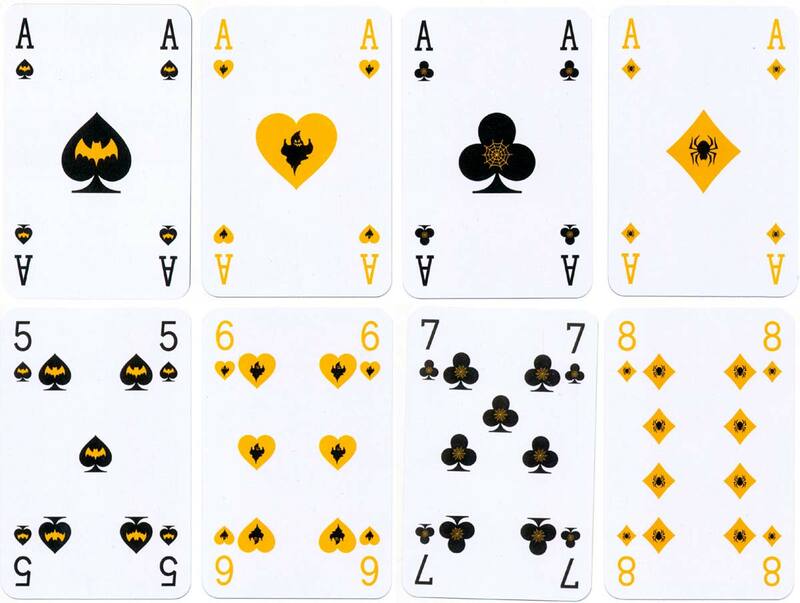 The cards have a non-standard colour scheme for the suit symbols: yellow is used instead of red (yellow and black being the Strongbow cider colours). 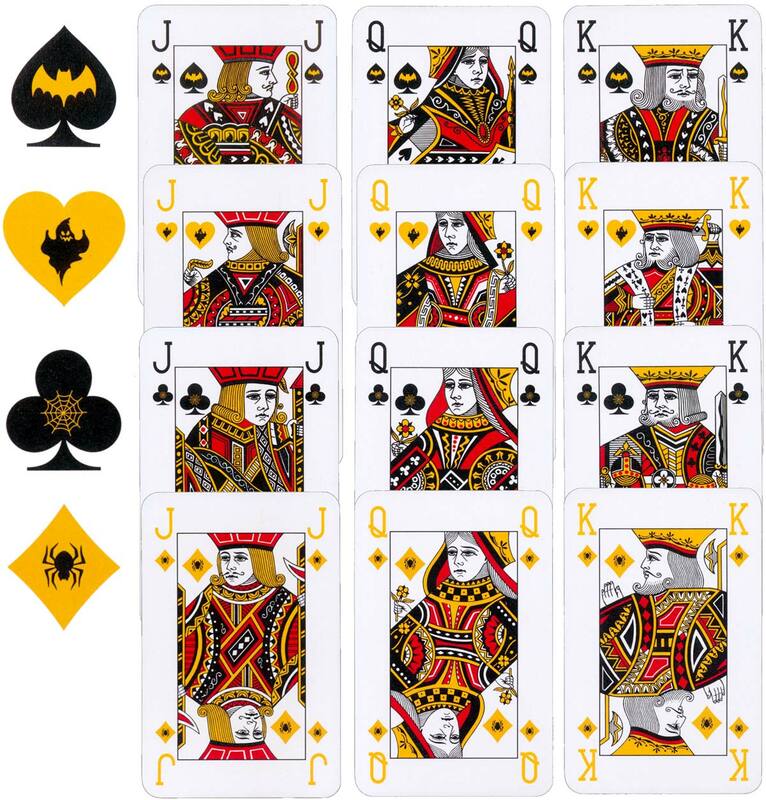 The pips also have Halloween image insets: spades have a bat; hearts a ‘ghost’; clubs a spider’s web and diamonds a spider, across all the pips and courts. 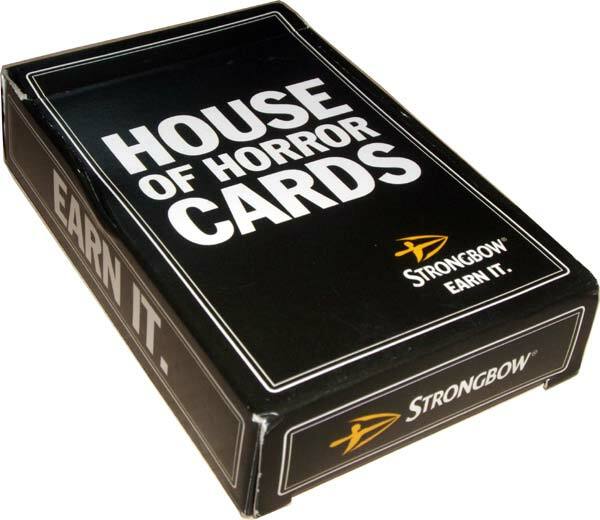 Above: ‘House of Horror’ deck published by Strongbow cider, 2015. Images courtesy Matt Probert.